Real Estate Tequesta Fl Search. Looking for Tequesta FL Homes and Real Estate Tequesta Fl? 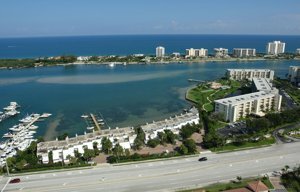 Search new Real Estate Tequesta Fl listings daily. Real Estate Tequesta Fl is a wonderful and affluent planned community in Palm Beach County. The community was originally founded in the 1950s as a planned community centered around the Tequesta Country Club. Today, the community’s small-town feel, beautiful scenic views, and excellent marinas attract new residents from around the country. Real estate Tequesta Fl has something for everyone, but with more and more families coming to the community it in your best interest to act quickly. Do not miss out on your chance to own a home in Tequesta. Beautiful homes right on the water, centered around country clubs, and in friendly, private neighborhoods can all be found. No matter what you are looking for in amenities and locations, there is a beautiful home in Tequesta to fit it. In addition to the range of single-family homes, the community also offers condominiums and townhouses, perfect for a more affordable or low-maintenance option. Real estate Tequesta Fl is home to the Loxahatchee River, which has maintained a reputation for being both a “Wild and Scenic River.” The river is a popular spot for those who like to go boating, jet skiing, paddle boarding, kayaking, snorkeling and any number of other watersports. Fishing is also popular in the area, both on the Loxahatchee River or any of its many tributaries as well as off the beautiful coast. Residents of Tequesta can enjoy the beautiful beaches of Jupiter Island, where a section of Tequesta falls. The community is also home to a number of well-maintained parks, perfect for keeping active and spending time with family. Constitution Park and Tequesta Park are both within the community, offering plenty of green space as well as sports facilities like basketball courts, baseball fields, and tennis courts. Many parks offer wonderful trails for leisurely walks amongst the natural beauty. 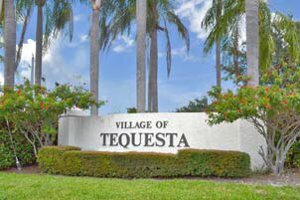 Shopping, dining, and entertainment can all readily be found within the Tequesta community. There are a number of local shops and boutiques in the community where residents can find a range of wonderful treasures to buy. From quaint diners to restaurants with fresh seafood to authentic Mexican, there is a cuisine to satisfy every taste amongst the restaurants of Tequesta. Residents of Tequesta are served by the School Districts of Palm Beach County and Martin County, attending public schools in the neighboring town of Jupiter to the south and Hobe Sound to the north. The excellent Jupiter Community High School is known for the wide array of academic magnet programs and extracurricular activities that it offers. 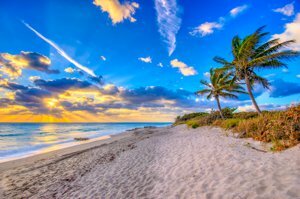 Tequesta is a village that is popular amongst residents and visitors alike, and this is for good reason. The community’s beautiful properties, waterfront views, and range of activities make it a wonderful place to enjoy the good life. Do not wait to see all that this wonderful community has to offer.